F02 is a beautifully designed model with leather encasing. 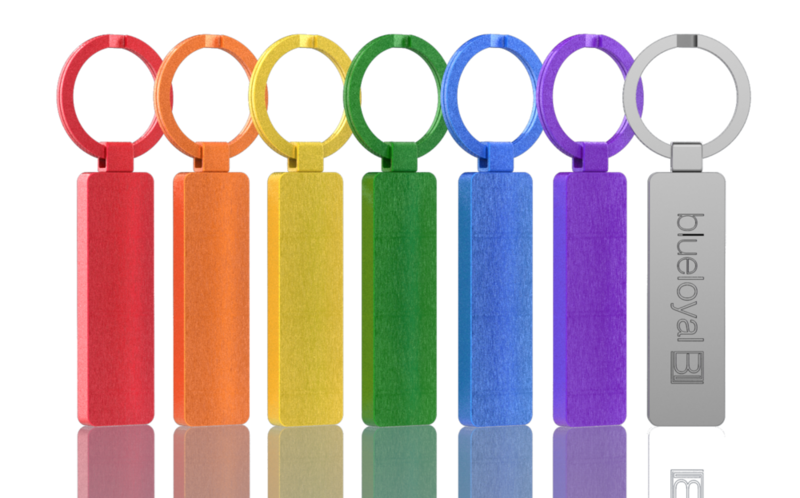 The keychain and clip are made of high quality metal, perfect for laser imprinting. F03 is a sleek model with superb quality. This executive-looking model is made of zinc alloy, a perfect material for laser imprinting. The metal has a gun-metal color finish option. Custom colors as shown are available, MOQ is 1,000 per color.